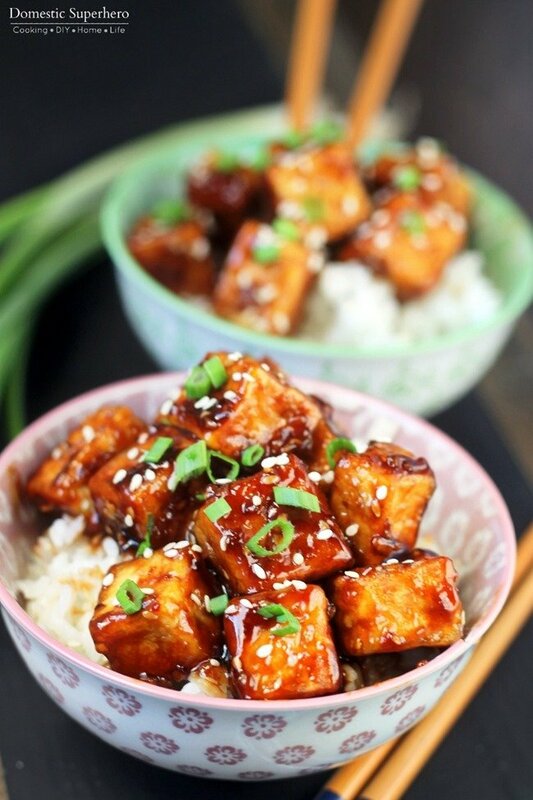 Honey Sesame Tofu is the perfect dinner for meatless Monday or vegetarians. 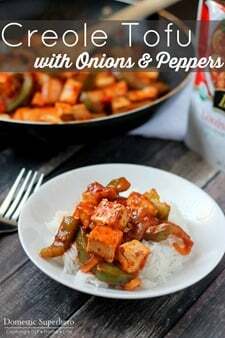 The tofu is fried up crispy and then tossed in a delicious sweet sauce! 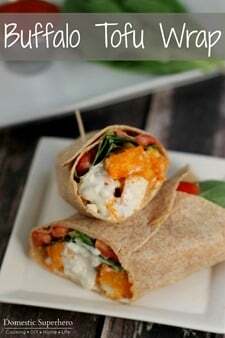 Another tofu recipe! 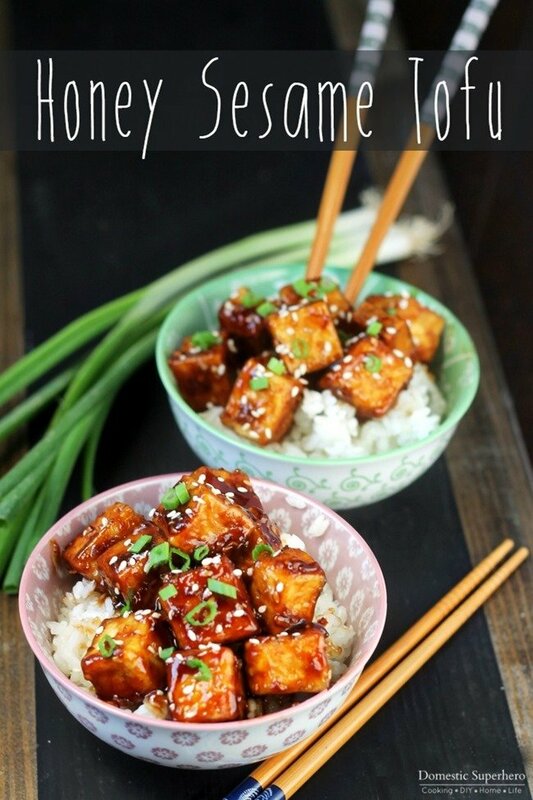 This time we are making Honey Sesame Tofu! 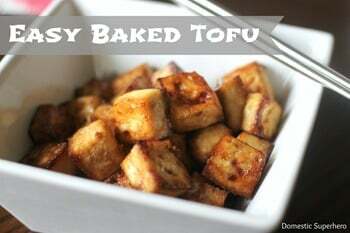 I am all about posting recipes for tofu that will make people LIKE tofu. So many people say, “I don’t like tofu because the texture is weird…”, but I bet 99% of the people who say that, haven’t had tofu cooked properly, and if they did learn to cook it right, they would love it. 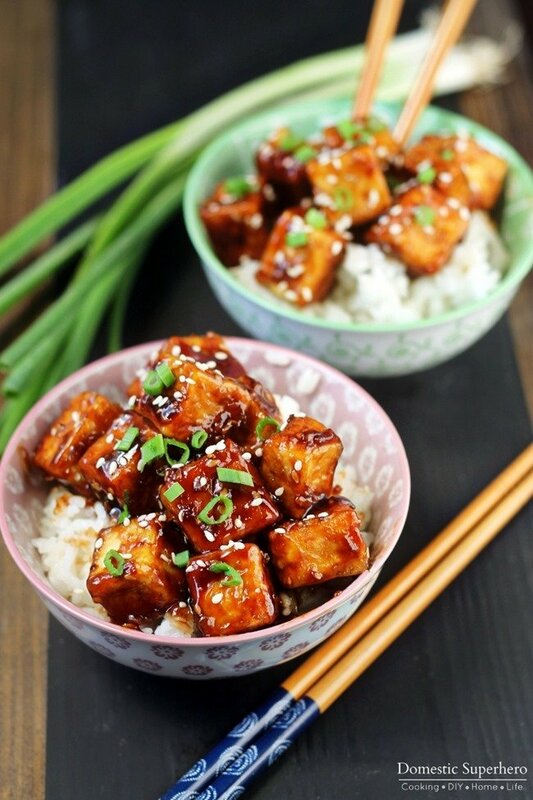 Tofu is one of those foods that takes on the flavor of whatever it’s cooked in; so if you make a delicious sauce, that is what the tofu tastes like- bada bing, bada boom! 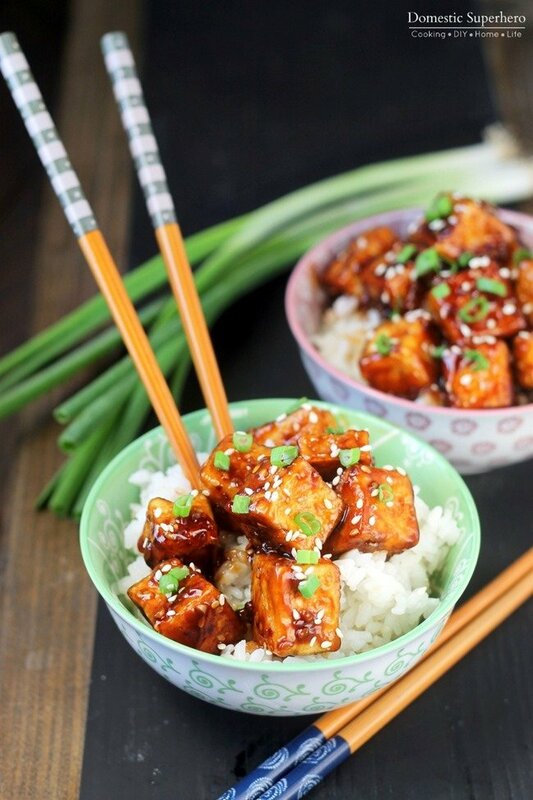 This Honey Sesame Tofu is crispy, sweet, a little spicy, and just delicious. 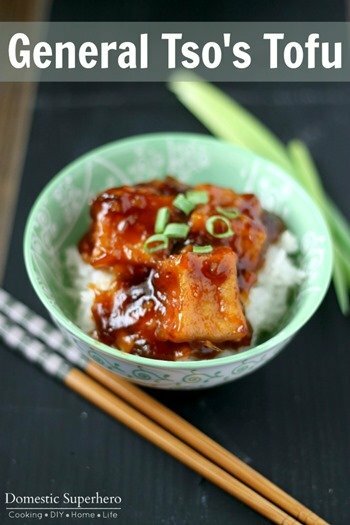 For this Honey Sesame Tofu, you can cook the tofu using the dry frying method, baking, or frying. I ended up baking it, so that is how I will show in the recipe below. 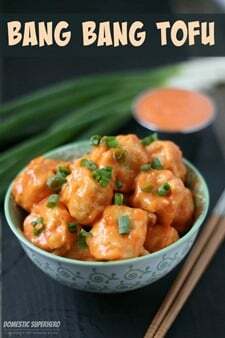 If you want more breading on the tofu, follow the frying process I use for my General Tso’s Tofu – it works very well. After it’s drained for at least 20 minutes, you are ready to get cooking! Wow, thank you for pointing that out. I have NO idea how that line got in there, I just took it out and disregard. The ingredient list and directions should now reflect the correct recipe. Sorry about that! This is not vegetarian. Oyster sauce is made with oysters. Hi Megan, You are so right, but if you don’t eat fish, then you can easily purchase a vegetarian oyester sauce which is made from mushrooms! You should be bale to find it in the international aisle at your grocery store, or an Asian market! Here is an example. Enjoy! I found the sauce a little strong. 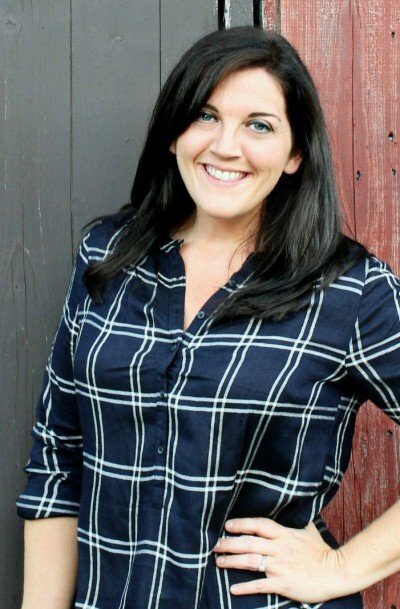 What could I do to tone it down a little? I loved the tofu flavor. How about a little rice vinegar to the sauce, or even water! 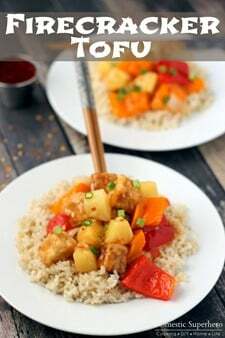 I Would add it into the sauce mixture, then add it to the tofu. Cant wait to make these little guys! Those flavours sound DIVINE. Let me know how you like them! This is a staple at my house! Hi! I can’t seem to find Rice Wine Vinegar. Would I be able to use Rice Vinegar instead? I found this to be much too sweet, recommend using less honey. I tried this out and it was really good!! Thanks for the amazing recipe and idea. But i’m not sure if it’s just my honey but the honey taste seemed to be a tad out of place. Do you think i could substitute it with sugar instead? You could definitely try sugar or maybe agave would be a better substitute. Also, make sure your honey isn’t out of date, because it definitely gets funky after a while! Thanks for sharing! 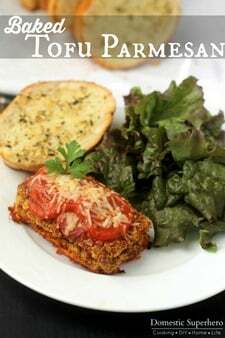 I just made this for dinner! Wanted to share a vegan fish sauce with you. It adds great flavor while staying veg http://tofunafysh.com/. I would like to make this for a potluck at work, should I keep the sauce separate? The sauce might congeal a little as it cools. I would sauce it and then reheat at the potluck if that option is available.